Haridwar means Gate of the Gods. It's a town on the Ganges, up the mountains where Ganges water is still clean, in eastern India. 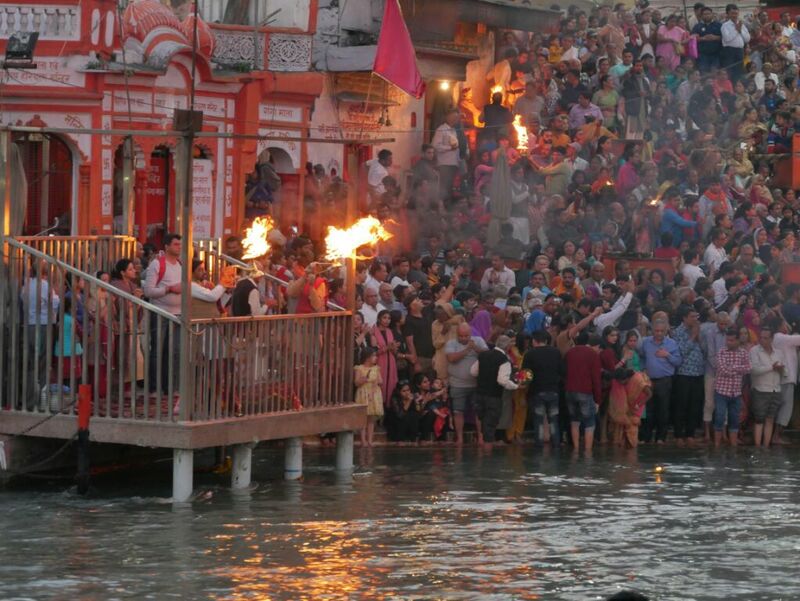 At the ghats - waterfront stairs - people go swimming in the holy Ganges because it's a shortcut to Nirvana, i am told. 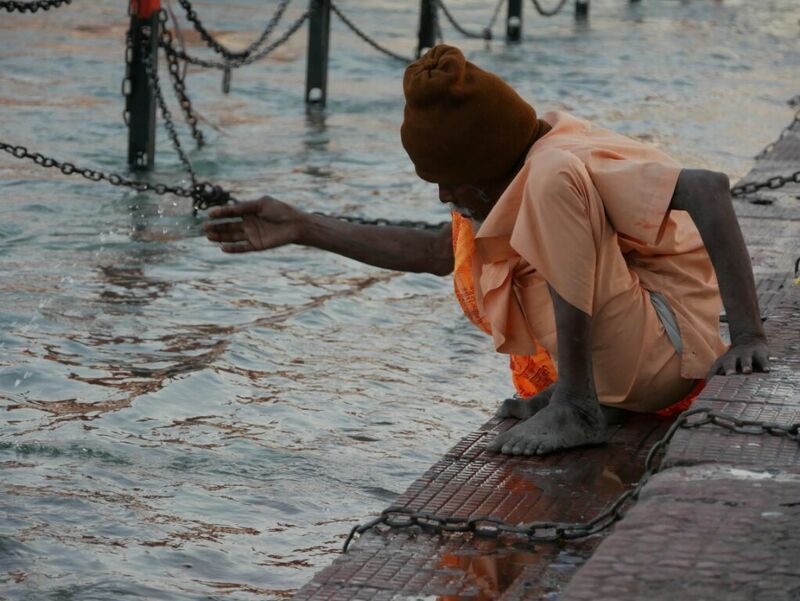 The river is flowing so fast that people hang on to chains hung in the water. There are almost no tourists, I have seen six today, but vendors of plastic canisters to take holy water home, official-looking people insisting on voluntary donations, and all sorts of sadhus - holy men - selling holy smoke or just pictures. A number of sadhus with bright orange faces, looking like a Chinese Monkey King or Trump or both, have hit on the racket of dabbing red powder on the forehead of anyone not ducking fast enough and charging for it. 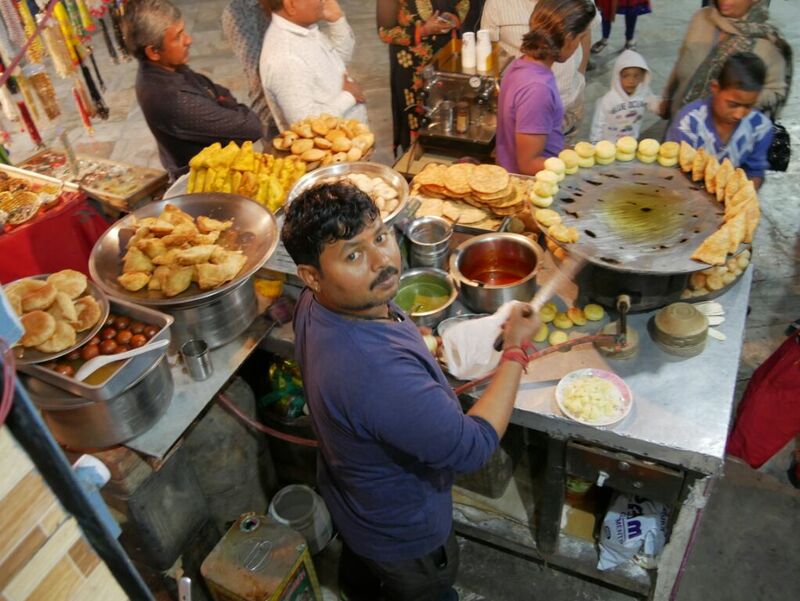 Haridwar is very clean, which cannot be said for all Indian cities, and beside the ghats seems to consist of narrow market alleys filled with people and madly honking motorcycles. On sale are mostly religious items like arm rings, starues, and colorful powders. Hindus have 33 million gods, but the most conspicuous one here by a wide margin is blue-skinned Shiva. They even have a 26 meter tall statue on the riverside. Sorry about the small pictures, here it's much easier to get a connection to Shiva than to the Internet.